The Chapel is located at 5600 Old Floydsburg Road, Crestwood, Oldham County, Kentucky. This English Gothic architecture chapel is in a beautifully landscaped setting and is reknown as a marriage chapel. This information was derived from a pamphlet handed me by the caretakers of the Chapel. 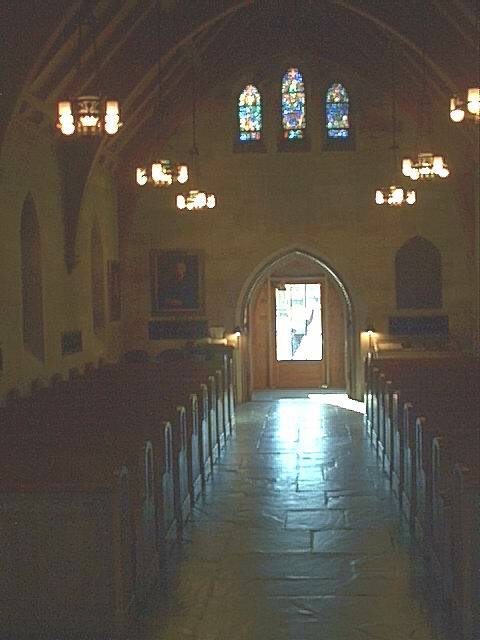 Questions regarding the Chapel itself, or availability for weddings there, can be obtained by calling (502) 241-8392. The caretakers live on grounds. 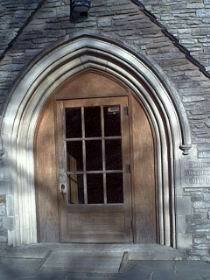 You may need to try your call on a couple of occasions, as sometimes, they may be away from the Chapel. If you wish to inquire about burial plots or burials at the Floydsburg Cemetery, please call the Stoess Funeral Home, 6534 West Highway 22, Crestwood, KY 40014, (502) 241-9421, as they have been given charge of this task. When Alexander E. Duncan's wife, Flora, died in 1936, their home was in Baltimore, where he had founded the Commercial Credit Company 24 years earlier. But his thoughts went back to the time of their marriage in 1900 and to the place where they spent their first three years together, Crestwood, Kentucky, 18 miles northeast of Louisville. And because he was reared on a farm nearby, Mr. Duncan knew that in the village of Floydsburg, a mile southeast of Crestwood, lay the rolling grounds of one of Kentucky's oldest cemeteries. 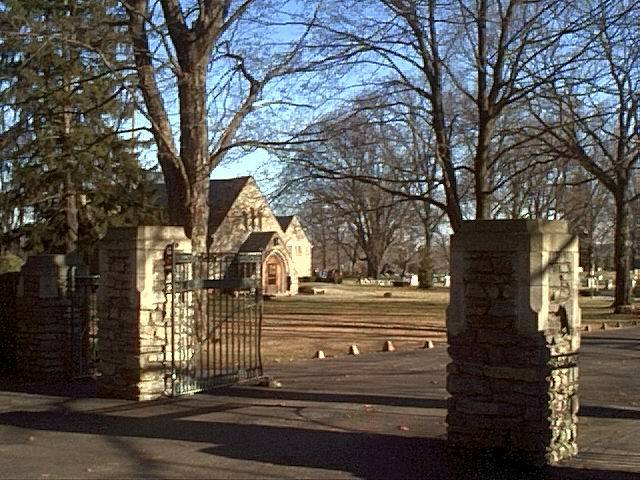 There, as a memorial to his wife, he built the Duncan Memorial Chapel in 1936-37, at the same time enlarging and landscaping the cemetery as a memorial to his grandfather, William Wesley Duncan, and to that branch of the Duncan Family, of which Alexander E. Duncan was the only surviving male member with the family name. 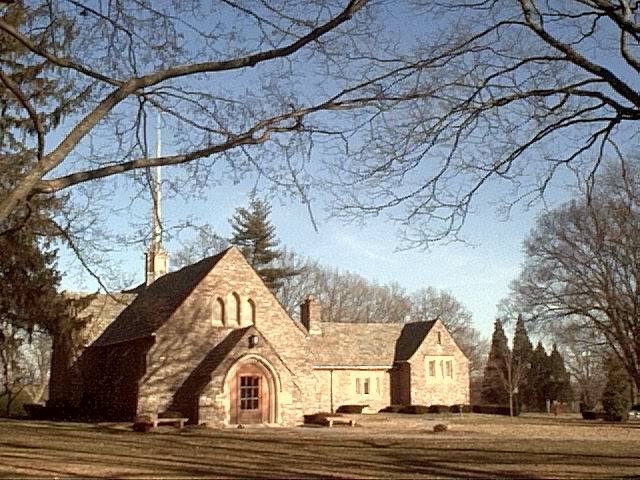 The Chapel was dedicated on October 24, 1937. 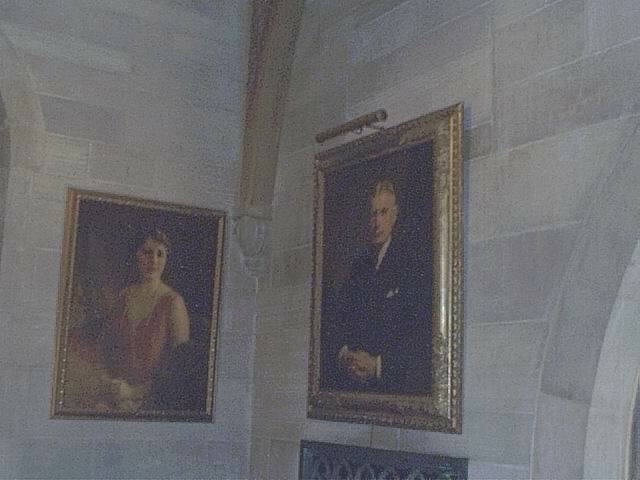 Flora Ross Duncan was buried in the Chapel's chancel; upon his death in 1972, Mr. Duncan was buried beside her. The architectural style chosen for the Chapel by Louisville architect Fred H. Elswick was Early English Gothic, with transept and nave. 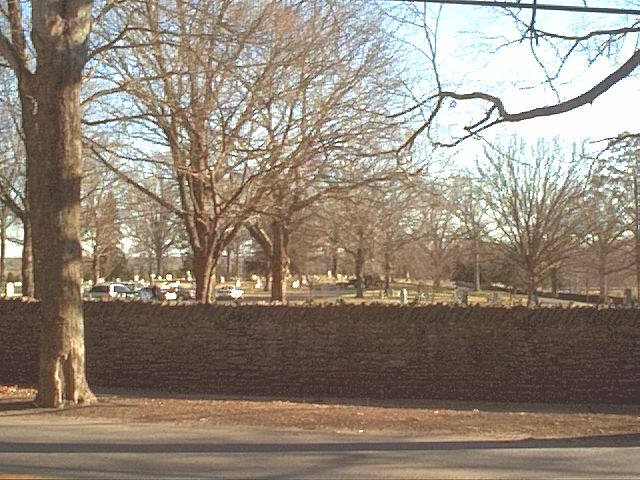 The Chapel and the wall around the Cemetery are of native stone, gathered from old fences on the surrounding countryside. Mr. Duncan chose a boyhood friend, D. J. Abbott, and his firm, Abbott-McMillan Company of Louisville, for the Chapel's construction. Mr. Abbott died in the midst of the work. 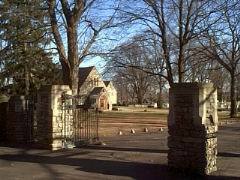 In 1958 Mr. Elswick died, and was interred in the Cemetery near the Chapel. 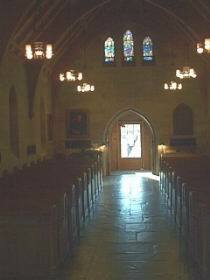 Inside, cut Indiana limestone lines the Chapel walls; the roof and floor are of slate. Sand-blasted white oak forms the pulpit, benches, rafters, arches and porches. A carving representing Leonardo da Vinci's "The Last Supper" on the altar is the work of F. Pecosta of Waukegan, Wis., who learned his craft in Oberammergau, Germany. A grapevine design typical of Early Gothic architecture is carved into pews, lectern and pulpit. Henry Lee Willet of Philadelphia executed the stained-glass windows; before installation, a portion of one was selected by the Rockefeller Foundation to be shown at the 1937 Paris Exposition as an outstanding example of stained-glass work in America. 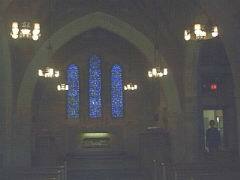 An electric organ with vibrato is installed in the Chapel. And there is a Schulmerich Carillon which sounds the Westminster Chimes each hour 8 a.m. - 8 p.m. daily, then strikes the hour. Heavenward from the Chapel roof rises a needle like fleche, or spire; and a shining cross at the top symbolizes Mr. Duncan's desire that all Christians use and find comfort in this sacred place. It was Mr. Duncan's hope that the Chapel would be an active community force, available for services, weddings, funerals, musicales, and meetings. Weddings have been taking place at an average number of 350 a year in recent years. 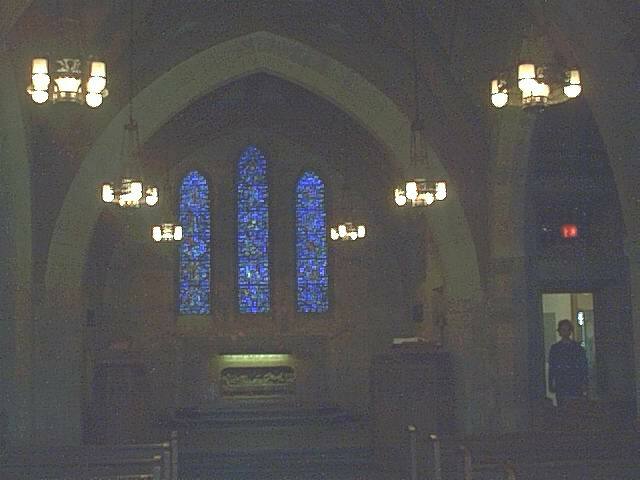 The resident superintendent, telephone 502/241-8392, will arrange for use of the Chapel. ...was born May 27, 1878, near Louisville, and was reared within sight of the Floydsburg Cemetery grounds; the home of his father, John T. Duncan, burned the year that Chapel construction began. Also within view are adjacent farms that belonged to his grandfather, William Wesley Duncan, and an uncle, Henry C. Duncan. Mr. Duncan's first job, which he had for nine months at $15 a month, was with the Bank of Louisville. In 1899 he erected and occupied a stone store building in Crestwood which later became the Crestwood State Bank and eventually the McMahan Building. On April 11, 1900, Mr. Duncan married Flora Ross of Louisville, the daughter of Mr. and Mrs. Alonzo J. Ross of Louisville. Moving on to Cincinnati, then to Baltimore, in the latter city he founded the Commercial Credit Company; it became the country's second-largest firm of its kind. He retired as it chairman prior to his death on February 9, 1972. 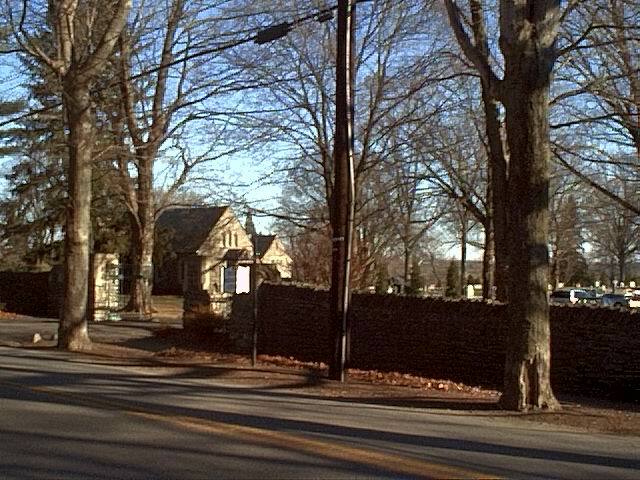 For Chapel and Cemetery maintenance, Mr. Duncan set up the Duncan Memorial Trust (gifts and bequests to which are tax-deductible), administered by PNC Bank, N.A. Louisville, KY 40296. Floydsburg began growing up in the late 18th century and, upon attaining a population of 150, was incorporated for a time starting in 1831. 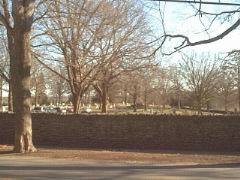 The old Louisville-Frankfort Road, which stimulated trade here, traversed the northeast corner of the present Cemetery. The town's name honors Col. John Floyd, a Virginia-born surveyor who helped lay out Louisville in 1780 and reputedly, to ward of Indian attacks, built a stockade near what became Floydsburg. He was shot by Indians in 1783 and may have been buried in a field nearby. William Boulware set aside three quarters of an acre at Floydsburg in 1799, thus founding one of Kentucky's oldest cemeteries, and 19 years later he and Charity Boulware added another acre. They and other members of their family are among those buried in the Cemetery's older section. 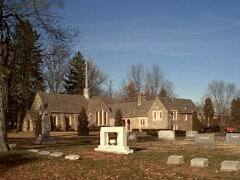 Several Floydsburg buildings once occupied the land Mr. Duncan acquired when enlarging the Cemetery to 16 acres. One was a small schoolhouse facing Church Street - now the Cemetery's center road - where he attended his first classes. Mr. Duncan's addition was donated to the non-profit Floydsburg Cemetery Company, Crestwood. For questions on burials or information on the purchase of burial space, contact the Stoess Funeral Home at 502/ 241-9421 and to inquire about arrangements for weddings, please contact the resident superintendents at 502/ 241-8392. Fred Elswick, a native of West Virginia , designed numerous prominent buildings within the Louisville area. His largest structure was the Kentucky State Fair and Exposition Center . But, his most notable is the quaint Duncan Memorial Chapel in Floydsburg, Oldham County , which was constructed in 1937. 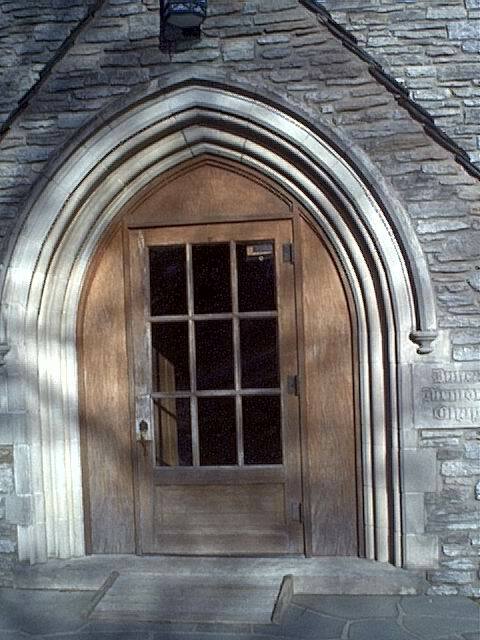 The English-Gothic style building was composed of native stone, which was taken from old fences in the surrounding countryside. Other Louisville region designs include Our Lady of Peace Hospital (now known as Caritas Peace Center ), Douglas Boulevard Christian Church, St. Andrew’s Episcopal Church, two National Guard armories, and the former Blue Cross Blue Shield Building (now known as Sullivan College ). He also designed numerous homes, one of which later became the Harmony Landing Country Club. Born in 1896 in Williamson , West Virginia , he attended Manassas College in Virginia , then served in World War I. He started his career as a draftsman in Huntington, W. Va., and later moved to Ashland , Ky. Elswick won an national competition for a house design in 1926, and relocated to Louisville to work for W. Earl Otis and Helm Bruce, Jr., who were partners in a building business. His first house here was for T. Noonan Ryan on Woodfill Way . He maintained his connections in Ashland , where he designed numerous residences. In 1931, he joined the firm of Wischmeyer, Arrasmith, and Elswick, where he worked until 1945. Elswick then formed his own firm, called Fred Elswick & Associates Architects and Engineers. His firm also employed architects Otto Mock and Kenneth Mock. Fred Elswick was married to the former Lucille Smoot (of Carlisle , Ky. ) and they had three daughters. 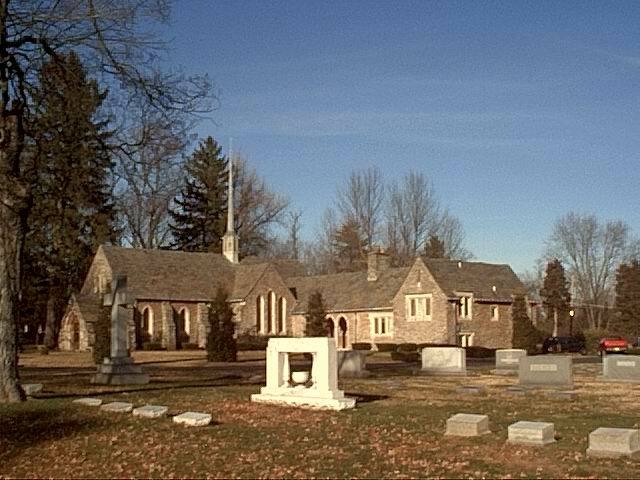 He died on November 6, 1958, and is buried in Floydsburg Cemetery , which is adjacent to his charming Duncan Memorial Chapel. Rootsweb.com has generously donated the webspace for this site.